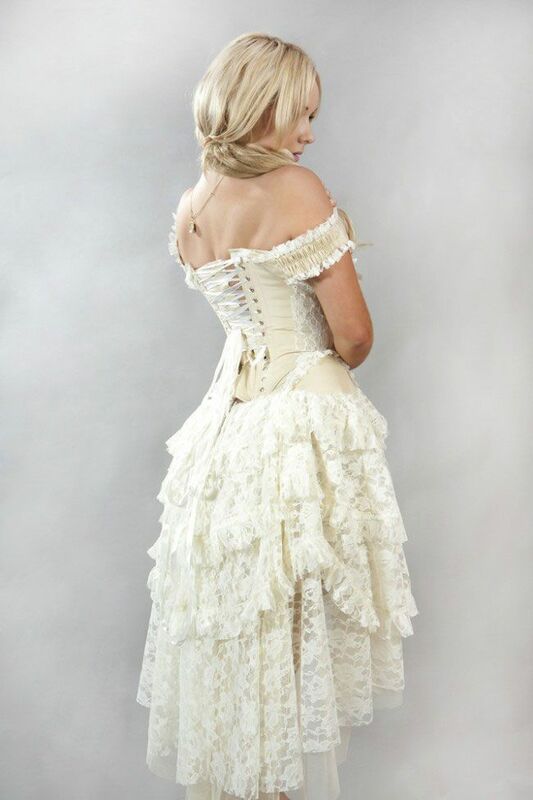 This corset dress is one of the most beautiful and romantic we have ever offered. Made in cream or black taffeta and lace with lace frills and ribbon detail. Rear lace-up fastening with a generous, 5" modesty panel. Designed in England. Limited cream color in stock, black color is a special order. This is a special order dress, it will ship in 2-3 weeks.